Size: Plate is 28 inches across! This is a very large display plate of fossil Seed Ferns from the classic St. Clair, Pennsylvania locality. 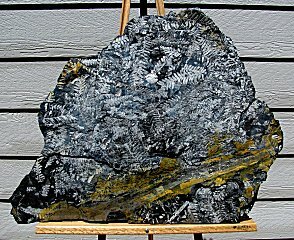 The Seed Ferns are preserved as a thin film of white pyrophyllite on black shale. The impressive plate has many, MANY fronds intact, in an assortment of different sizes and shades of white. The Seed Ferns exhibit wonderful detail - the individual leaflets of the fronds are clearly defined. The fossils have outstanding color and contrast and are well presented on the large, natural, UNBROKEN plate of shale. There is also a large branch (log) easily seen preserved at the bottom of the slab. And there are also many beautiful fern fronds preserved on the back side of the plate. 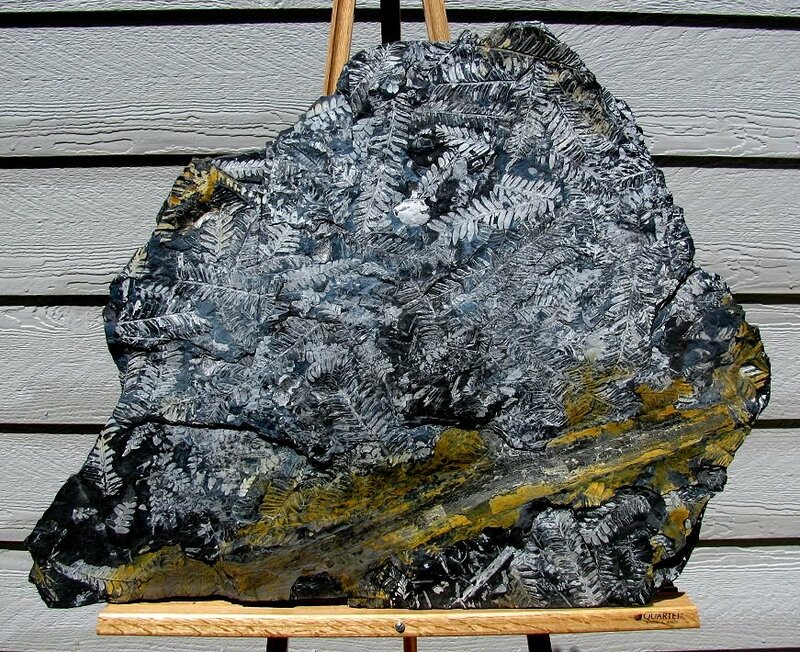 This is a very large, displayable plate of Coal Age fossils from Pennsylvania, great for a museum display.